Self-driving semi-trucks may soon be zooming past you on American roads. 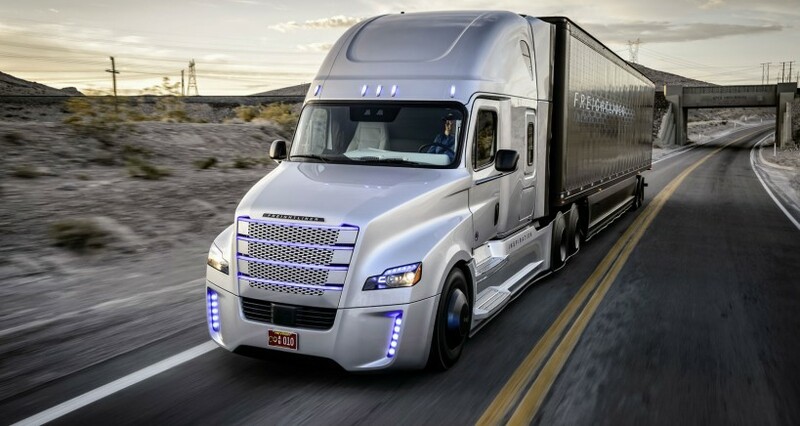 In an effort to combat the high percentage of semi-truck-related crashes across U.S. highways, Freightliner is introducing the world’s first autonomous 18-wheelers. Doesn’t sound safe? Don’t worry, the Inspiration truck series aren’t fully self-driving … yet. For now, humans are required to control the vehicle when exiting highways, driving on small streets and while parking and docking. The trucks are already operating in Nevada, one of the country’s least crowded states. They’re marked with unique license plates and bright red tags that distinguish them as a self-driving vehicles. Experts say it will likely be another decade before autonomous automobiles are commonly seen across the country.